Basingstoke Gymnastics Club is a charity run business offering a variety of classes to cater for all ages, needs and abilities. BGC is recognised across the country for its fantastic facility and space that provide a range of gymnastics disciplines. The facility contains numerous amount of apparatus including a huge soft floor area plus an aerobic sprung floor, 3 tracks, assymetric, parallel & high bars, rings, a vault area, 2 sunken trampolines with a large pit area including a slung pit PLUS our purpose built freestyle centre. 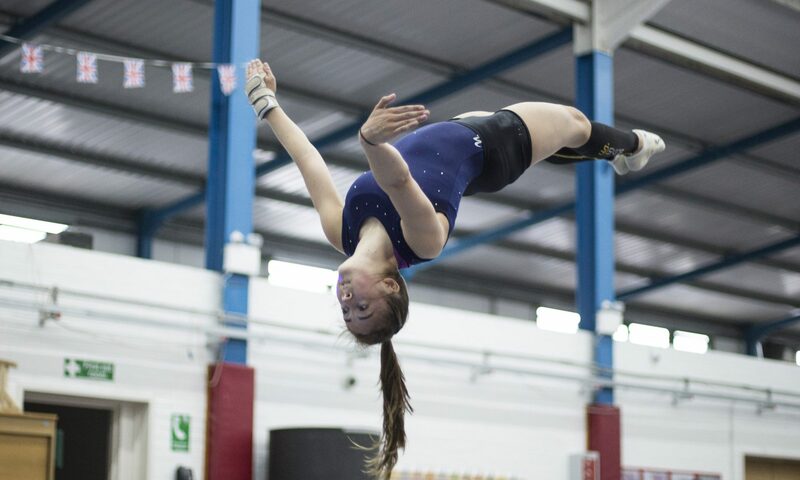 With funding, the club have continued to expand and accommodate our members with the best equipment and service from our British Gymnastics certified coaches. Alongside the recreational side of the gym, we also have our Elite Performance Gymnastics. Our high level of squads have produced many champions over the years with regional, national and international statues. Our wide variety of disciplines allows us to direct each individual to where they are most suited and most importantly enjoy. BGC hosts internal and external competitions for both recreational and elite level as well as coaching courses and workshops. We have our own Club Festival of which our pre-school & recreational members are able to participate in plus Gym Challenge, Squad Festival and our Annual Show for our more advanced members. We are always welcoming volunteers and fundraising ideas that run beside our events and other local establishments along with volunteers for our café.